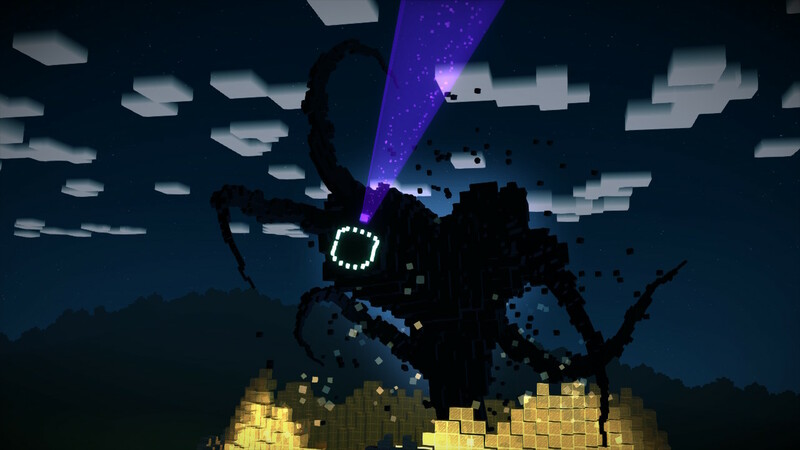 Minecraft Story Mode starts off with a little bit of lore for the game involving four epic heroes that defeated the Enderdragon. 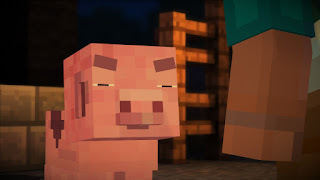 Fast forward to the future, and we find our hero, his pig, and his friends preparing for a building competition at the Endercon. 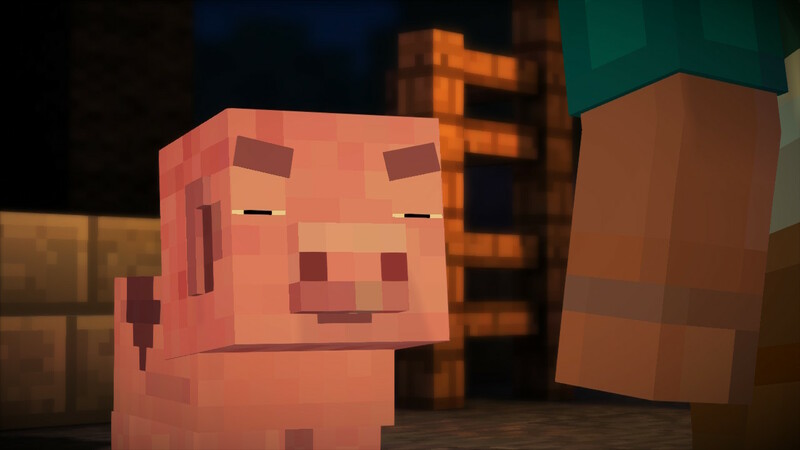 After a brief discussion about whether or not to bring the pig (because this might get them labeled as losers), they embark on their journey to Endercon, where we are treated to an inspiring montage filled with quick time events. 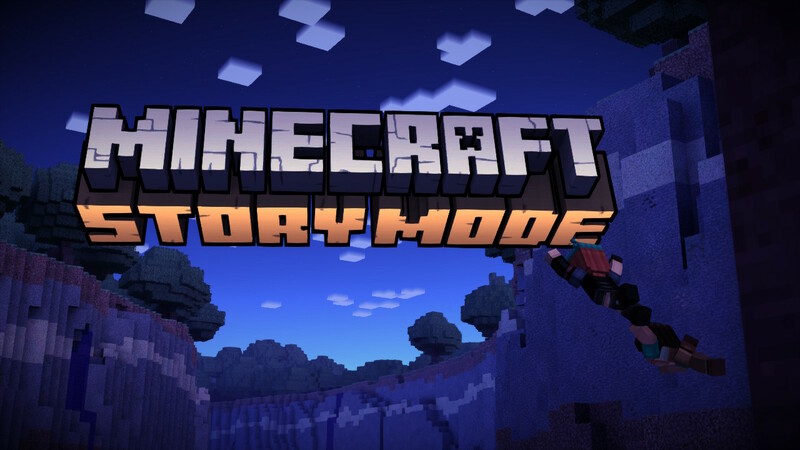 This is an altogether charming introduction to the story and it's main characters, and this is absolutely vital to Minecraft Story Mode. Unlike the traditional Minecraft game, this is a Telltale Games visual novel series, and as such, the characters and the story that they carry NEED to be loved to carry the bulk of the gameplay. We will be making a series of choices that influence the outcome of the game, so the way our character interacts with their cohorts will have consequences on the rest of the series. While you are given the option to skip around the episodes, it is better to play from start to finish in order so that you can better customize the experience to your own preferences. Before I go further, I want to take a little side path. As of this writing, I have very little experience with the phenomenon that is Minecraft. It is a game that I just never took the proper amount of time to become interested in. I have played a few hours without much knowledge as to what I was doing and why. However, after many descriptions from friends and my children, that experience is all about creating for the sake of doing so, without regard to why. Most importantly, the why is a simple answer- because you want to create something in Minecraft. As I noted in my Portal Knights review, I love my objectives, and that was a big influencing factor in my enjoyment of that game. 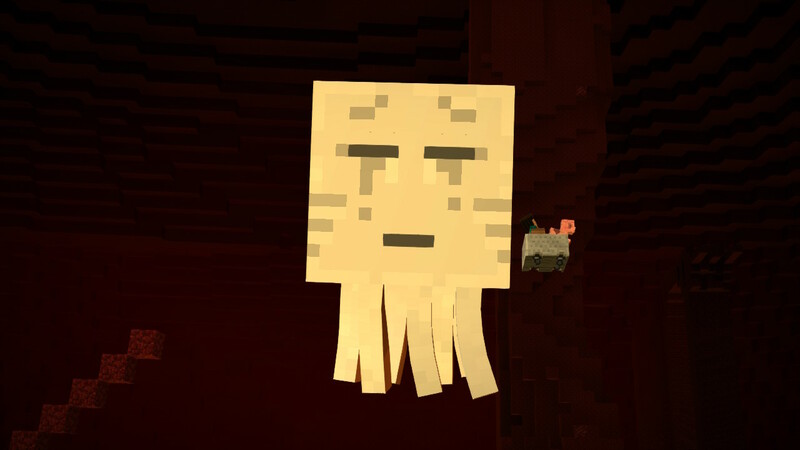 With Minecraft Story Mode, I again had the opportunity to experience a slice of the creativity side of things, but with an actual reason for doing so, and a definitive end. Naturally, I obtained the game so that my children had the opportunity to play it, and they put a good couple of hours into the story before I even really looked at the game. While they actually described the experience as "boring", they were also hooked on the game and still discuss how they could have made different choices to have a more desirable outcome. As such, I understand that their assessment of the game being boring was simply an expression of not really understanding what they were getting into, since this was their first visual novel game, and as such the lack of action compared to their expectations of the game, which I believe my eldest thought was going to be closer to The Legend of Zelda: Breath of the Wild, which was her first story based game, except with Minecraft's mechanics. So, back to the game. It is well scored, but not really anything to write home about. Because of the narrative focus of the game, it is much closer to what you would expect from a children's television series, instead of the soundtrack to an epic interactive adventure. The voice acting is very well done, but this is no surprise with the presence of Patton Oswalt, Dee Bradley Baker, Ashley Johnson, Billy West, Grey Delisle, Matthew Mercer, Brian Posehn, and many more. The game does suffer some stuttering frame rates in handheld mode. It is a little distracting, but because the game doesn't rely upon fast twitch reactions or smooth flowing animations, it isn't a huge deal, but it is still a little jarring. There are still some slowdowns in docked mode, but they're not as frequent. It's an engaging story, and the choices are fun to make, especially when you choose something that won't be memorable and the game tells you as much. Anyways, it doesn't take long for something to go awry when one of the bullies picking on you gets jealous of everyone's positive reaction to your team's build gets them all excited and he fears a loss. He kicks open someone else's build and ends up freeing lava, which flows out and sends your pig, Reuben, running from the build competition. You chase off after Reuben, and this leads to a clearing where Reuben is cowering in the bushes. After choosing how you deal with him, your are attacked by a few baddies (zombies, creepers, spiders). This leads to an intense combat scene where you break your sword. You can make another choice as to whether you try to protect the pig or send him running, and just as you're about to be overwhelmed, you're saved by the local badass treasure hunter. She makes you an offer of traveling into the nether with her, and gives you the materials needed to craft a replacement sword. You get some character development, and more combat. This is where the rest of the game begins, and where I leave the story itself. I'm not quite sure why my girls thought it was boring other than their misplaced expectations. 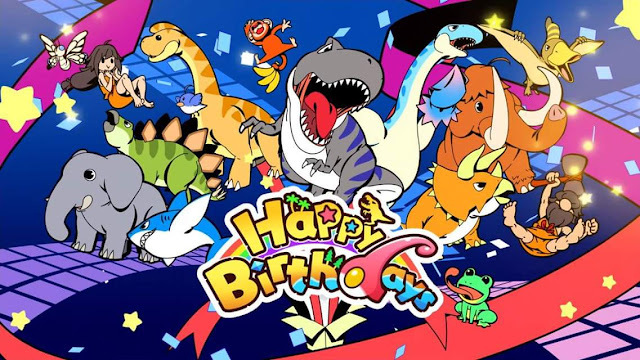 The game does many things well, and my only complaint is that it does feel a bit much like the less well made animated movies marketed at kids that try a little too hard to appeal to adults through crude humor and subtle joked that kids will miss out on until they're older. It's otherwise solid. 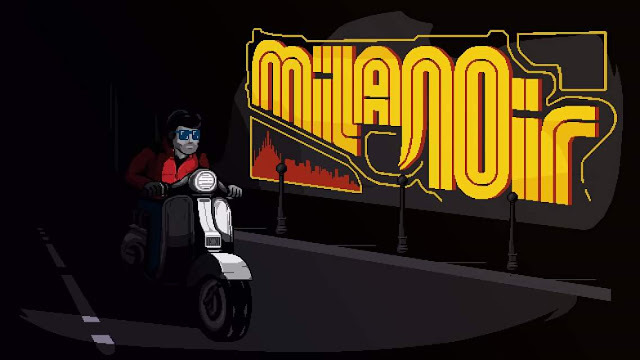 If you have played the previous Telltale games, then you're already familiar enough with the formula that you should know whether or not this is your bag. 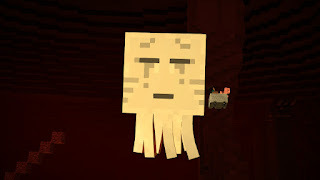 If not, than an interest in Minecraft may just win you over since this game brings along it's visual style, lore, and even some crafting sections. This also includes the entire story instead of making you buy or download additional episodes. It's probably not an immediate purchase for most, considering the Switch's already impressive library, but any Minecraft fan would be happy to find this under the tree, if not before.